According to the Cancer Council, one in two Australians will be diagnosed with cancer by the age of 85. 138,000 new cases were diagnosed in 2018, with that number estimated to rise to 150,000 per year by 2020. Every Australian will be impacted by their own cancer diagnosis or the care of a loved one who has this insidious disease. 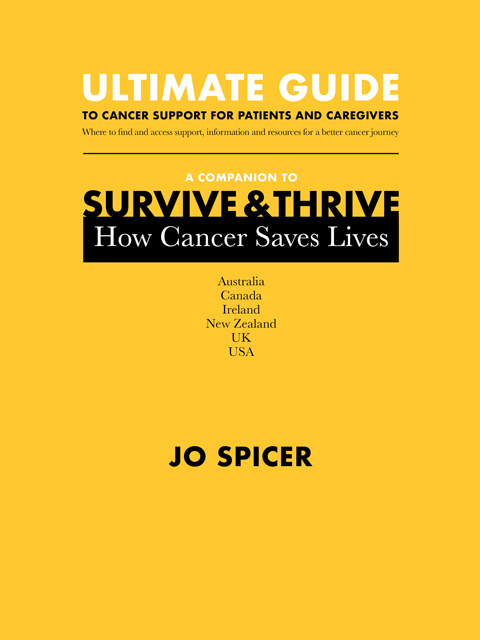 Author Jo Spicer is a cancer survivor, diagnosed with Non-Hodgkin's Lymphoma at the age of 45. With a 30-year career in communications, writing and speaking, Jo realised there was a need for more than the medical facts she was provided. She recognised the vital necessity for better information about dealing with the emotional and practical issues of diagnosis, treatment and recovery. "I had so many questions running through my mind…Was I going to die? How would this impact my children? How did other people cope with the trauma of their diagnosis? Were my fears normal? How did other people survive this? I wanted some answers but didn't know where to find them," said Jo. As Jo went through her treatment, she met and discussed these issues with fellow patients with a view to providing first-hand knowledge and practical information on how to not only survive, but to thrive. Survive and Thrive! 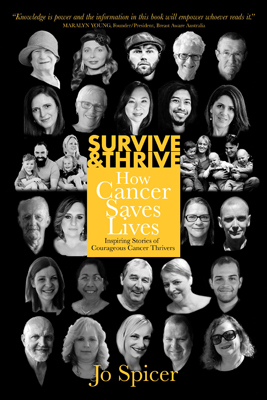 How Cancer Saves Lives is filled with inspiring stories of 30 cancer survivors aged from three to 76 years. They have overcome cancers including melanoma, lymphoma, bladder, tongue, lung, breast and prostate cancers. "I am forever grateful for their frankness and willingness to share the darkest and the brightest parts of their journey, with the sole purpose of helping others," writes Jo. "Their stories demonstrate how the human spirit can rise up and triumph." This book brings together the lessons learned from each person and culminates in real and actionable tips and strategies that patients and caregivers can implement to achieve their best possible outcome. Jo Spicer grew up in Sydney, Australia with an active imagination for stories. She did well at school, was School Captain and excelled at English, encouraged by her teacher to become a writer. With this in mind, she completed a Bachelor of Arts (Communications) at the University of Technology, Sydney and worked in PR and events management. She continued her career in retail marketing for Birkenhead Shopping Centre and Grace Bros, before moving on to be Marketing Manager for Fairfax Newspapers. Jo started her family and consulted in training and business coaching, speaking regularly at conferences and seminars. She had her first brush with cancer when she was diagnosed with CIN3 at age 39 and this led to a hysterectomy. Six years later, her lymphoma diagnosis turned her life upside-down and her own experience plus the those of fellow survivors she met, inspired her to share their experiences and knowledge to provide practical information and emotional support to those facing a similar trauma. Jo has two children and lives in the Illawarra, NSW. Part 3: My Cancer Journey Workbook: A step-by-step workbook to guide you from diagnosis to recovery. Record doctor's appointments, medication, treatment protocols and more.